The following post illustrates how to create a custom function in Excel, using a VBA module. In particular, I will create two functions that parse a cell containing a full name (First and Last) into two separate cells. I frequently need to run through this process, so I figured it would be a good way to demonstrate how to utilize an Excel VBA Custom Function in practice. 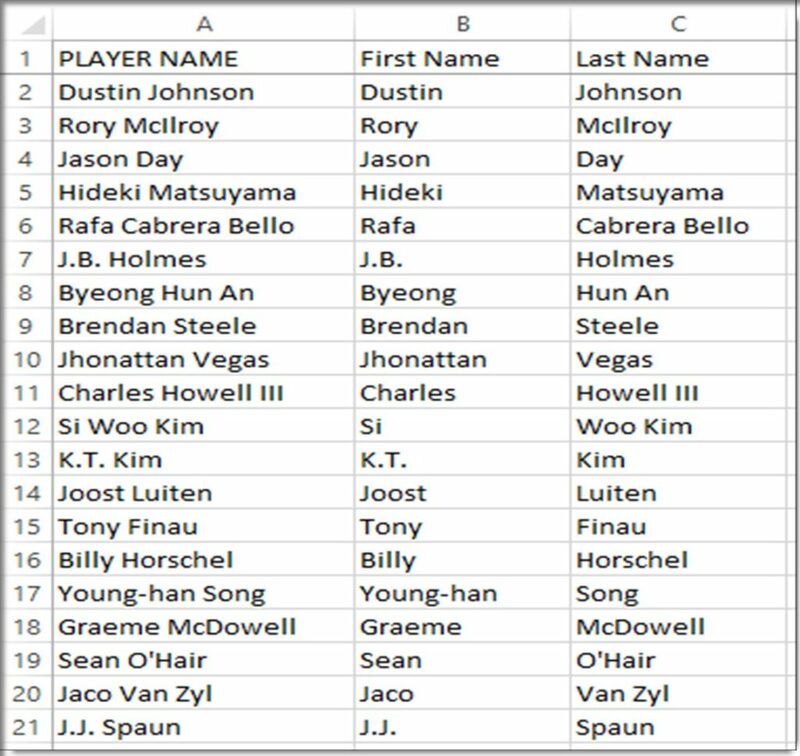 What I would like is two additional columns, containing the First and Last names separately. This is a task that can be done via Excel built-in functions, but for demonstration purposes, I am going to create two custom functions using VBA. Go back into your worksheet and add column headers “First Name” and “Last Name”, in cells B1 and C1 respectively. You now have the two new columns you need, and two custom functions to accomplish the task. Again, this is a simple string manipulation that can easily be achieved using Excel built-in functions, but I wanted to show simple, but practical example on how to create custom functions in Excel using VBA.